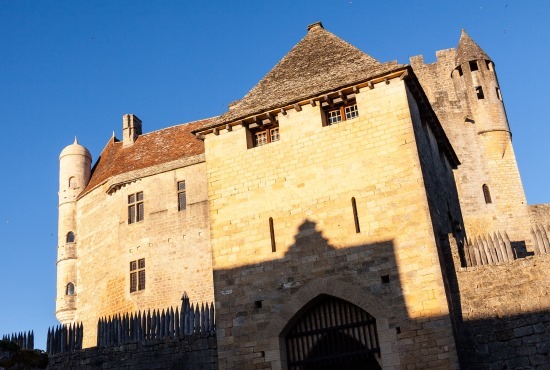 Needless to say, with such a photographic location we have lots of pictures and I thought I’d share a few of them with you so you too can experience the delights of the Dordogne - they might even inspire you to visit if you haven’t already. The Hubby and I stayed in an ever so pretty village, our house built into the ramparts of the medieval castle with the most stunning view. Each morning we were woken by the church bells and then the whoosh of the hot air balloons overhead. 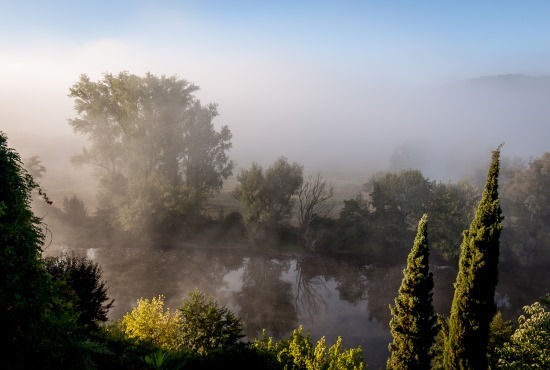 Some mornings there was an eerie mist over the valley which soon cleared as the sun rose. The daily trip to the boulangerie took us along cobblestone paths and the view was beautiful beyond words. 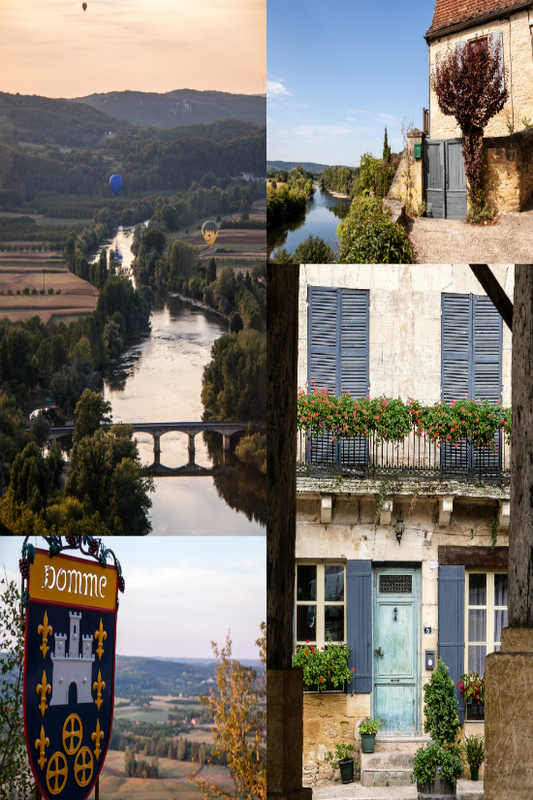 We enjoyed walks along the Dordogne river, taking in more pretty villages and castles. 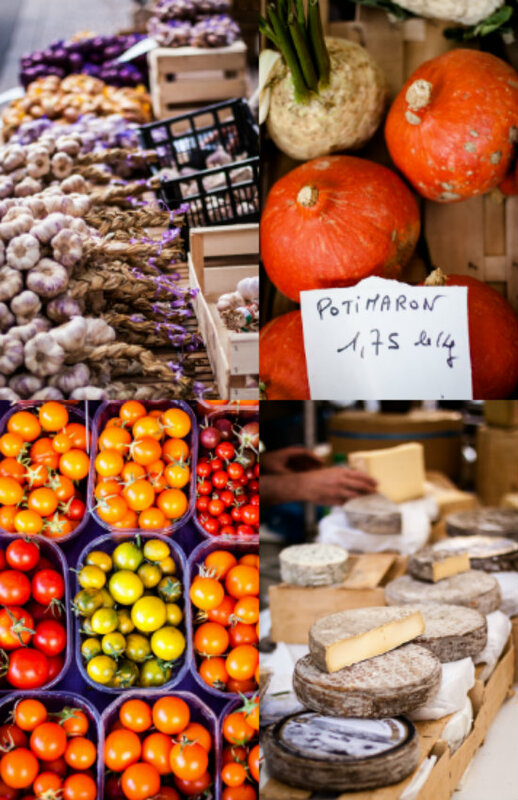 One of the joys of the area is the food and the best place to sample everything it has to offer is the weekly market in Sarlat - it’s always crowded and you certainly get absorbed in the local food on offer with stands full of vegetables, award winning cheeses, jams, honey, charcuterie and nougat (that stall was my favourite!). Everything was set out so beautifully that you couldn’t help but fill your basket with the delights on offer. One of our favourite days was visiting the beautifully landscaped Marqueyssac Gardens - like everywhere in the area the gardens were picture perfect and afforded wonderful panoramic views. 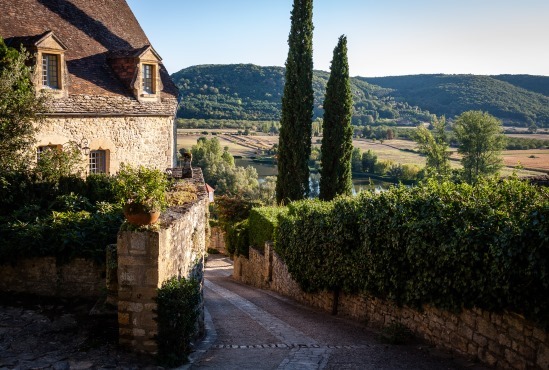 As you can tell by the photographs, the Dordogne region of France is stunning and a visit definitely leaves you inspired. One of the joys of the area is the food and the best place to sample everything it has to offer is the weekly market in Sarlat- it’s always crowded and you certainly get absorbed in the local food on offer with stands full of local vegetables, the best local cheeses, jams, honey, charcuterie, delicious nougat (that stall was my favourite).Everything was set out so beautifully that you couldn’t help but fill your basket with the delights on offer.